I have a bit of a magazine addiction. 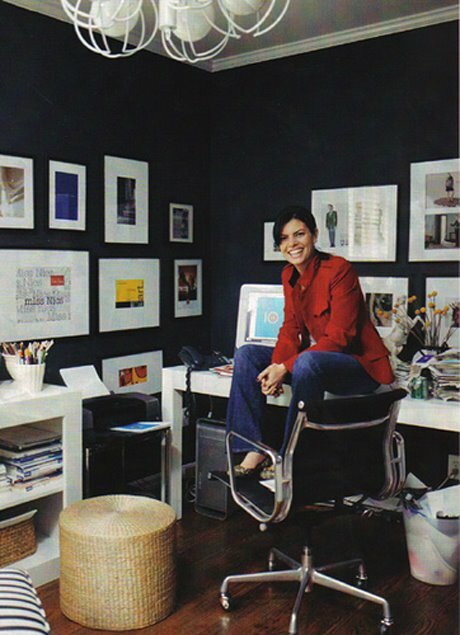 I've been in self-imposed recovery for a while (I only subscribe to Lucky and InStyle now, and occasionally buy Living Etc or House Beautiful) but my wonderful hoard of decorating magazines remains on a dedicated bookshelf in my office. Lately, I've been grabbing a pair of magazines at random before going to the gym and spending an hour on the elliptical trainer getting lost in gorgeous rooms I'd mostly forgotten about. Today I perused the November 2005 issue of Domino, and was reminded of two spaces that I've had in my head for seven years. That must mean they're great! I love the paint color and the fabric choices, and find it so cheerful without being juvenile. 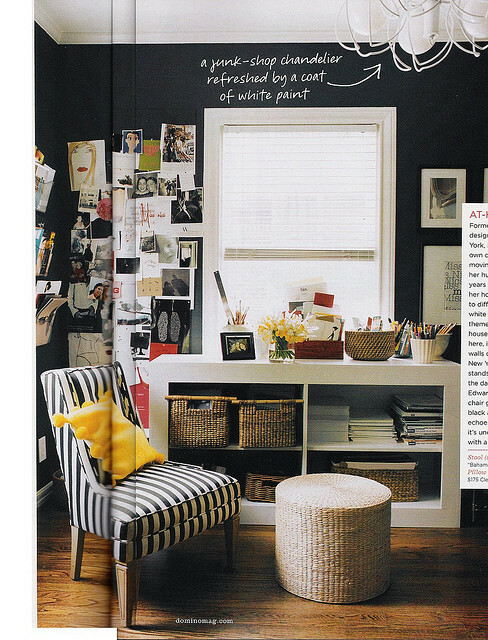 The almost-black paint in the office makes the trim and whitewashed furniture pop, and the wicker baskets look great. I also love the print in the living room, and how everything seems attainable and unstuffy. All that said, lately I've been getting tempted by the potential profit I could make by selling by 25 issue collection of back issues. So far I've held on, but after I read all the issues again, I may give in to the need for space and potential for shopping. What do you think? Am I crazy to pass up $250+ to keep a stack of magazines?